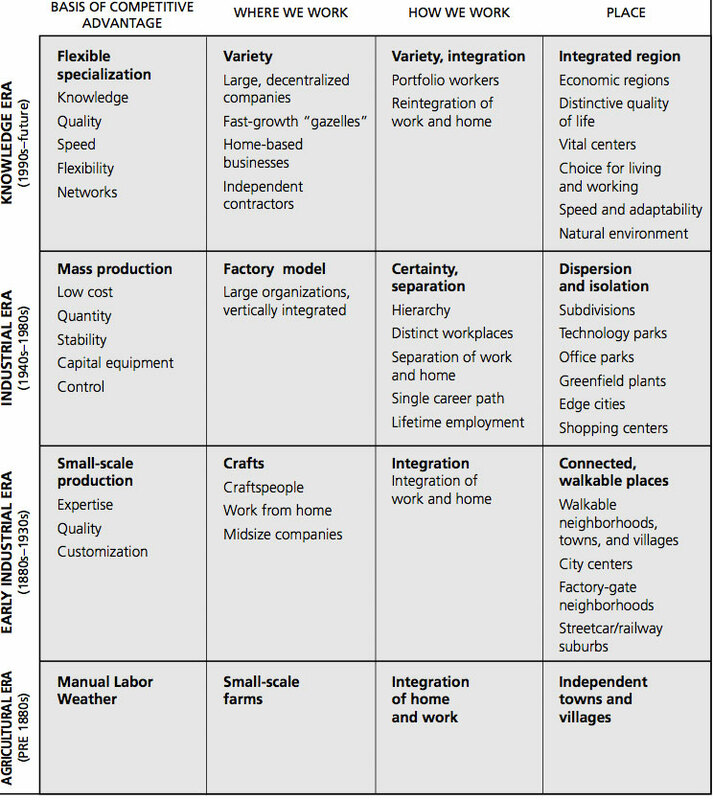 The table is from “Linking the New Economy to the Livable Community”, published by Collaborative Economics, sponsored by the James Irvine Foundation. 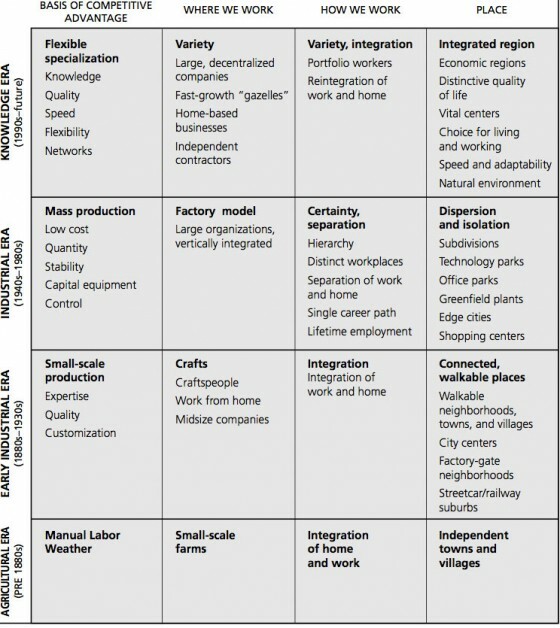 It clearly outlines how our one-size-fits-all mass production economy is evolving toward a customer-driven mass customization model based on choice, adaptability, distinctiveness, vital centers and quality of life, and even better, how communities will begin to reflect that. You can also see why many of the unique, ‘customized’, human-scale neighborhoods built in the 1920s happen to be among the most desirable today. So to answer the oft-asked question, what is a cool town? It’s about everything in the top row, in a time where the last vestiges of what’s represented in the second row are still stuck in the last column. Unfortunately, real estate (ie ‘place’) is the slowest industry to change in the evolution of an economy. That’s why we focus on the fastest in the industry.